As some of you may know, I’m president of my local chapter of the International OCD Foundation (IOCDF), OCD Twin Cities. But I didn’t found the affiliate — today’s guest Renae Reinardy did. 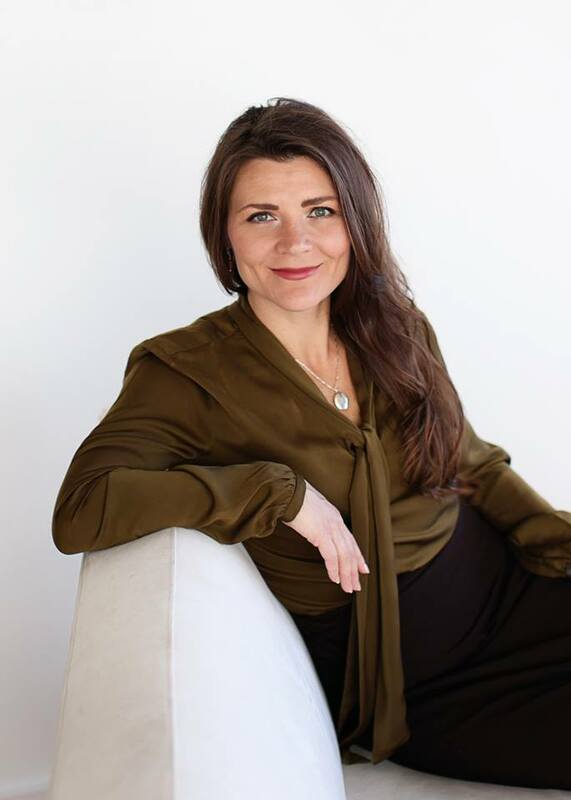 She and her co-founder Randy Herrera did all the hard work to get the nonprofit up and running, and I took over two years ago after Renae moved to Fargo, North Dakota, where she has her own practice, Lakeside Center for Behavioral Change. Renae is an expert in the treatment of OCD and related disorders, including hoarding — she appeared on the the A&E series Hoarders and produced a documentary called Information About Compulsive Hoarding. Thanks for joining us, Renae! We were introduced when I took over as president of OCD Twin Cities. I had some big shoes to fill! Why did you decide to start the affiliate here, and how did the whole process work? Randy approached me and said he would like to start an affiliate and would like my help. I was totally swamped in my office, but knew how important it was to have this resource so we worked hard and quickly to get the affiliate off the ground. We were happy to have everything in place by the IOCDF conference that was held in Minneapolis. I loved being a part of the affiliate and we had some wonderful events and fantastic volunteers. What do you consider your biggest success with OCD Twin Cities? Some of the highlights were the golf tournament fundraiser, sponsoring two therapists to attend the Behavioral Training Institute, donations to children at Rogers Memorial Hospital from Build a Bear, support group awareness, and our quarterly meetings. You treat OCD and related disorders, including hoarding. In the last revision of the Diagnostic Statistical Manual (DSM), hoarding was changed from a symptom of OCD to a disorder under its own category. What do you think about that change? It is wonderful to see hoarding disorder in the DSM-V. This validates millions of people’s experience with this disorder by giving it an official title (even if people don’t like the term “hoarding”). It also means that more research can be done in this area. Hoarding is a complex behavior that comes in many varieties. Co-morbid conditions really influence the approach that a therapist should take in treatment. Hoarding can be exacerbated by depression, ADD/ADHD, trauma, eating disorders, dementia, and/or OCD. Hoarding and OCD are different conditions but do share some common features. What is the best line of treatment for hoarding? Treatment varies depending on the symptoms that the person is experiencing. A client who has hoarding and trauma will have a very different treatment plan than someone with hoarding and ADHD. When compulsive acquisition is a factor, we will talk about non-acquiring exercises such as non-shopping sprees. Treatment commonly includes cognitive restructuring, exposure to discarding, improving decision-making skills, and replacement behaviors. You also treat dermatillomania (skin picking) and trichotillomania (hair pulling), both compulsive behaviors that go beyond messing with a pimple or tweezing stray hairs. How common are these disorders? How are they treated–and do you use similar techniques for both? Hair pulling and skin picking are very common conditions. They fall under an umbrella titled body-focused repetitive behaviors, which also includes nail biting. Everyone picks, pulls, or bites skin, hair, or nails at some point, but when these behaviors become out of control and damage results then it becomes a clinical issue. There are many skills available to help people with these conditions. I also wrote this article that discusses treatment. You invented Courage Critters to help children face their fears. How do Courage Critters work–and why is it so important that parents and caregivers encourage kids not to back down from their fears? The mission of Courage Critters is to Empower, Support, Protect and Love children who are experiencing fear or body-focused repetitive behaviors. Through the website, children can begin to learn lifelong skills to help them confront fears rather than engage in avoidance or non-adaptive coping behaviors. On the website, children and caregivers will find a section called Fear Busting Tools. Under this section, there are several tabs that describe the skills offered as part of the Courage Club. The Standing Up to Your Fear Bully Plan tab will help children to identify their fear bully and the impact it has on their behaviors. There will be questions to help guide caregivers through this process to really know how fear impacts the child. Once we know what we are dealing with, then we will develop a plan to gradually stand up to the fear bully. This is where children grow some huge emotional muscles! Fear is measured with a fear thermometer and children and their caregivers make small goals to gradually change behavior. There is an example of how to set up this plan under the tab, Example: Standing Up to Your Fear Bully Plan. The Good Coach Thinking tab will show consumers how to identify the “fear bully talk” inside of the child’s head. When we know what the fear bully is telling us, we can start to challenge and change those thoughts into “good coach thinking.” There are a series of short questions to help children identify, challenge and change unhelpful thoughts. The tab, Example: Good Coach Thinking can show consumers how to use this skill. Relaxation is another really important skill that can be practiced. There are many relaxation tools that can help our mind and body become calm. Caregivers and children will find an example of one under the tab, Relaxing Breath. Through the use of these skills children feel more confident, courageous and ready to take on their fear bully. Having a tough-looking little green sidekick doesn’t hurt either. Can all children benefit from Courage Critters and its coping methods, or is it especially helpful for kids with a disorder like OCD? The Courage Critters program is a tool that parents, caregivers, teachers, doctors, and children can use as a guide to decrease common childhood fears and body-focused behaviors. The Courage Critter will provide the child with comfort while this website offers a fun, and interactive program. As a member of the Courage Club consumers will be able to access all pages on the Courage Critters website. Many children struggle with common childhood fears every day. Fears of the dark, storms, medical procedures, and new places are just a few examples of common fear triggers. Childhood fears are amplified by a child’s imagination and difficulty distinguishing reality from fantasy. Courage Critters helps a child to use their imagination skills to empower, support and protect them in situations that cause many of these common childhood fears. This can be especially helpful for children with OCD and related conditions. 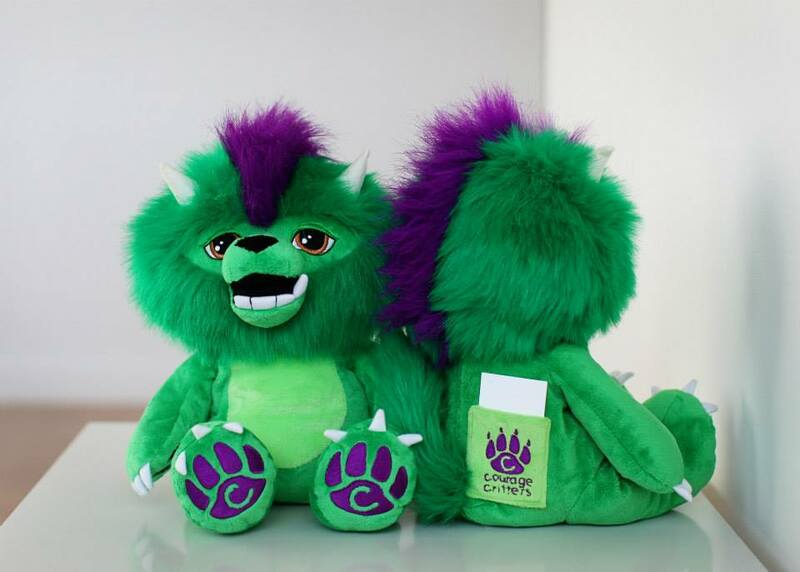 Courage Critters also aims to help children with Body Focused Repetitive Behaviors (BFRBs). There are many behaviors that fall under the category of BFRBs. Some of the most common include nail biting, skin picking and hair pulling. These behaviors affect millions of people, but most kids who have a BFRB feel very alone. The Courage Critters program lets them know that they are not alone and that there are many useful skills that can be utilized to decrease unwanted behaviors. You’ve lived in large metropolitan areas, and you currently live in Fargo, North Dakota, which is bigger than many people realize. But there are several small towns and farming communities in the surrounding area, both in Minnesota and North Dakota. What advice do you have for people who live in more remote rural areas with minimal access to proper OCD treatment? Many of my North Dakota clients drive long distances for therapy. Although, this was still the case when I practiced just outside of Washington DC. Access to treatment remains a challenge for many, but it is getting better. It is great to support organizations like the IOCDF and your local affiliates. Raise awareness of these conditions by providing information to your doctors. There is training and supervision available for therapists who are interested in learning more about OCD and related conditions. Some therapists offer video conferencing or phone sessions to clients who do not have anyone in their area. You can find a therapist in your area by visiting iocdf.org. What tips do you have for preventing relapse? Is some degree of relapse inevitable? If you could share just one piece of advice with people with OCD, what would it be? Think of your OCD as a third grade bully. You cannot reason with it, or convince it of factual information. The best way to stand up to this bully is through exposure exercises to desensitize to the bully. This allows the internal heckling to move to the background, lose power, and eventually go away. For many of my clients the goal is to decrease OCD bully talk, behaviors, and sensations to less than 10 percent. Do your ERP skills and have a structured hierarchy to gradually stand up to your fears. You cannot train for a marathon in a day; it can also take a little while to build your emotional muscles to stand up to OCD. Fortunately, it gets easier as you go, and this is a battle you can win. Find the right amount of support on your journey. 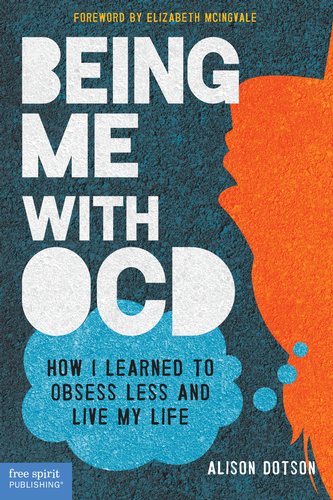 Many of us in the OCD advocacy community got into it because we have OCD ourselves. Margaret Sisson became an advocate because her son Riley had OCD. She has done so much to spread awareness, not just about OCD but addiction as well. Even after Riley’s tragic death in 2014 Margaret has continued to go above and beyond and advocate for people with OCD, and her goal is to keep Riley’s legacy alive — she founded Riley’s Wish Foundation and presented on his behalf at the OCD Conference in Boston. 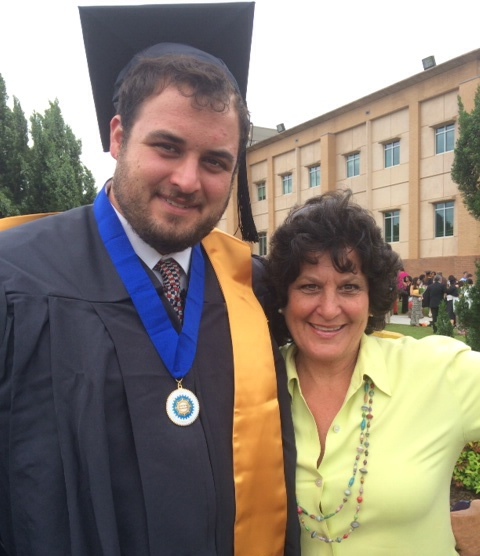 As much as Riley struggled with both OCD and addiction, he never stopped trying to educate others. 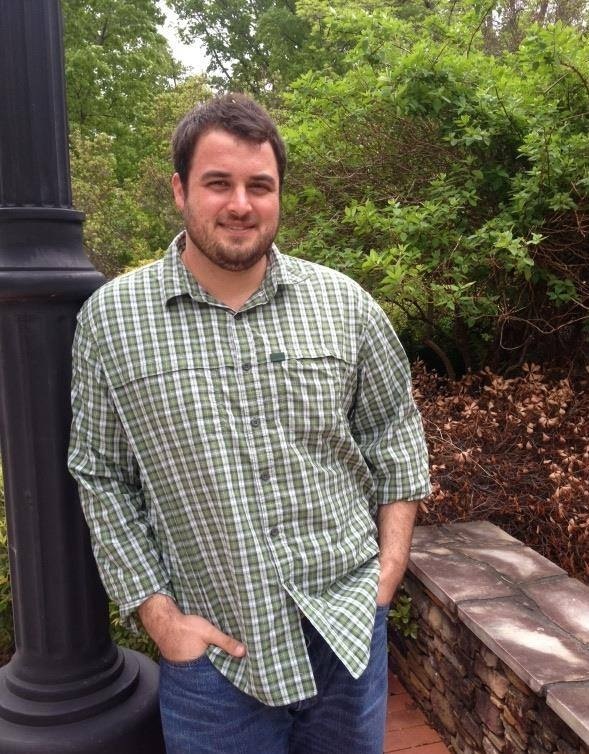 He presented on several panels at the OCD Conference and he was working toward his Master’s degree in counseling. Riley was hilarious. OCD is hard. It’s draining. It’s depressing. Somehow Riley was able to joke through much of that pain and made others laugh. Thanks, Margaret, for continuing to be a voice for Riley, and for us. 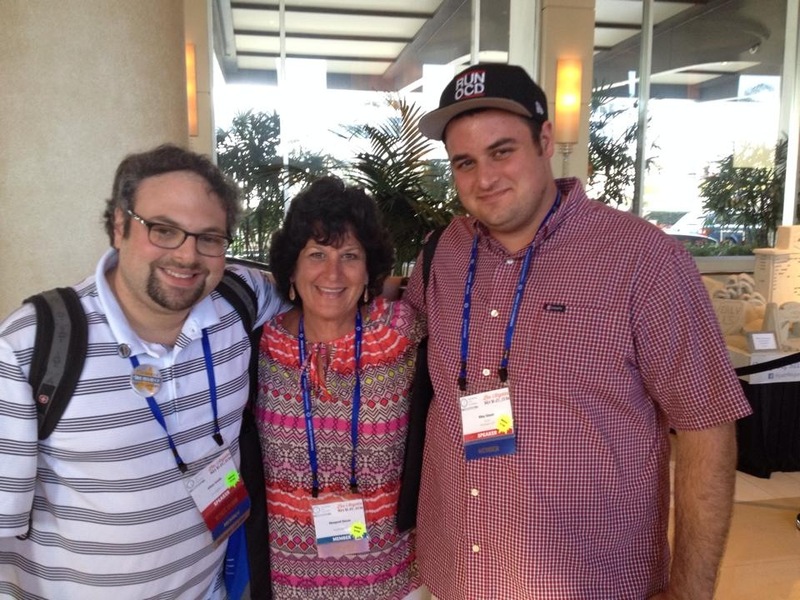 You were given the IOCDF Hero Award at the 2014 OCD Conference. Much of the work you were doing in the OCD community was on behalf of your son Riley, who had OCD. How did you decide to get involved in advocacy? When Riley and I went for the first time to the conference in Chicago we both felt we found support, and for once others understood! I decided that by helping and being an advocate, I not only helped others but also Riley. I was very humbled to receive the Hero Award. Most importantly, I was able to tell Riley that it was for him! He was my hero! It must have been painful to see your child suffer through this illness, and to hear some of the unpleasant details, including those about his addiction. How did you push past the pain in order to help Riley? Watching your child suffer is very difficult no matter how old they are. But the more I educated myself and researched OCD the more I felt I could help him. I needed to understand what he was going through, and that way I was more equipped to get him to the right treatment. I think it must be challenging for parents to help young adult children who are striking out on their own and becoming more independent, and perhaps more resistant to parental guidance. It is hard to help an adult child with OCD. You are encouraging independence but oftentimes that is hard because of their struggles. My advice for any parent whose adult child is going off to college or living independently is setting up a good support team. Colleges are starting to implement programs that help students who struggle with mental health and addiction. The programs are designed to be a community for students and they provide the peer support and accountability necessary to enable sustained recovery and mental health counseling. This gives the students the ability to pursue an academic and social experience in higher education. The program also provides support and encouragement to give back to the community. Riley self-medicated, and unfortunately he became addicted, leading to a dual diagnosis of OCD and addiction. How did the diagnoses affect each other, and how did you and Riley approach the dual diagnosis? “Substance use disorders (SUDs) are categorized by the dysfunctional use of a substance causing significant impairment in functionality or marked distress. SUDs generally include cravings in between instances of using, obsessions around wanting to use, and the compulsive ingesting of substances. The diagnostic criteria for SUDs, as outlined in the Diagnostic and Statistical Manual of Mental Disorders-IV (DSM-IV), are separated into categories of abuse and dependence depending on the presence of withdrawal symptoms when substance(s) are absent from the body (4th ed. ; DSM-IV; American Psychiatric Association, 1994). Both OCD and SUDs involve obsessions and compulsions. OCD can manifest in a variety of ways. With OCD, obsessions generally coincide with the fear that something bad will happen if compulsions are not carried out. With SUDs, triggers can include emotions, cognitive distortions, false beliefs, and other people, places, and things. Addicts/alcoholics generally obsess about using. With SUDs, rituals include finding ways to use, using, and preparing to use again. With OCD, rituals can include a variety of behaviors and thoughts. Using drugs and/or alcohol can be one of them. Those with obsessive-compulsive disorder often know that their obsessions and compulsions are not based in reality. They often know that what they’re doing isn’t realistic, that it doesn’t make sense. They often see a decline in functioning, they’re aware of the time they are wasting, and they experience distress. However, they still continue to obsess and carry out the associated compulsions. How old was Riley when he was diagnosed with OCD? How did you realize that OCD might be behind his symptoms? Once you knew it was OCD how did you go about treating it? Riley was diagnosed with OCD when he was 12. My dad was a pediatrician and he actually diagnosed him after I explained his symptoms. It started with hand washing and extreme anxiety over school. The unfortunate part was he spent years receiving the wrong therapy. Talk therapy was all he received for over five years. Not until his senior year did we finally find a therapist who was experienced in ERP. I think that is so important for parents to find the right therapy. The IOCDF is a great resource for families. Let’s say someone reading my blog also has a dual diagnosis of OCD and addiction and hasn’t told her parents about either illness. How should she approach the topic with them? This is what I would like to concentrate on through Riley’s Wish Foundation. I want to continue raising awareness and educating others about OCD and addiction. I think we made great headway at the IOCDF conference this year. I was fortunate enough to speak on three panels that discussed OCD and addiction and was so encouraged with the feedback we received. The plan would be to set up a mini track for next year’s conference that continued discussing the dual diagnosis and how best we can help those who struggle with the dual diagnosis. I met you and Riley at the 2014 conference in L.A., and he was a hoot! I was practically in tears when he presented at a panel about preventing relapse; I was cracking up. I was shocked when I learned of his death less than two months later. Your life was turned upside down, but you have been determined to carry on Riley’s legacy and help others in need. You started a Facebook page called Riley’s Wish, you presented at many sessions at this year’s conference in Boston, and now you’ve officially launched Riley’s Wish Foundation. How can others get involved to help spread Riley’s legacy or advocate? I think being an advocate is a real personal decision. Some people are not comfortable telling their own story and that is OK! Being an advocate can also be getting involved with your local affiliate, starting a support group, or getting involved with the IOCDF conference. The conference was life changing for both Riley and myself. I will never forget the support we received at our first conference. After that, Riley and I both felt compelled to help. Riley started the first OCD/addiction support group with Jared Kant. The next year he did his own panel with several of the top doctors. He started the movement to talk about OCD and addiction. He wanted so much to figure out how to help himself so he could go out and help others. I feel that is what I’m supposed to help with now. That way I can honor Riley’s legacy and help others. I think he would be pleased. If you could share just one piece of advice with parents whose children have OCD, what would it be? Educate yourself. The better you understand OCD the more equipped you will be to help. Educate yourself about ERP and the ongoing research on OCD. As a parent, you are your child’s best advocate! And some personal advice: Humor and laughter are good medicine, too. Riley would be the first to tell you that!